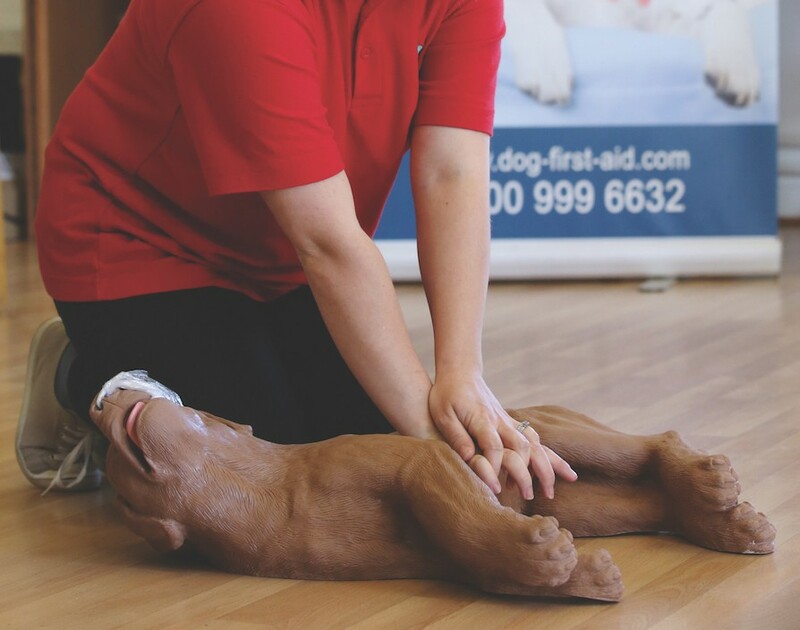 When speaking on the phone with Jo Middleton, founder of Dog First Aid, the canine first aid franchise for professionals, it’s clear how in demand she is. “I’ve got about ten minutes if that’s alright with you?” she checks politely. It was a case of third time’s the charm as the previous calls had to be rebooked to accommodate her packed schedule. “Franchisees have access to my calendar,” Middleton explains, adding they can book a chat with her whenever they like. It’s plain to see how open she and the team are to those joining the network, with her diary usually being packed back-to-back. That caring disposition was forged prior to launching a franchise when Middleton worked for the NHS in Blood and Transplant as a first aider. But as a single mother, she decided to pursue her other passions. “I left the blood service in 2008 and decided I was going to do something with dogs that would fit around two children, who were young at the time,” she details. The self-confessed dog lover had been involved in rescuing man’s – and woman’s – best friend and this resulted in a dog-walking and petcare business. It allowed her to work around two tikes and furry four-legged friends, while the company grew from just being Middleton working solo to a team of dedicated staff and five vans on the road. Like all good entrepreneurial stories, the Dog First Aid operation was unplanned and something of an accident in 2013. “One of my own dogs came back injured on a walk and despite extensive human first aid training, I couldn’t connect the two to administer first aid,” she says. It inspired Middleton to team a group of veterinary professionals to put together material for a “little” local course for those working with dogs. “I had so much interest that the course was fully booked and I had to book a second one,” she recalls. With powerful testimonials like that, it’s easy to see why Dog First Aid became so popular. “I work with lots of different business coaches, sales coaches, franchise experts, legal experts etcetera and over the period of just over the year, we got the business franchise-ready,” says Middleton. Becoming part of Encouraging Women Into Franchising (EWIF) was a breath of fresh air as she found likeminded individuals on the same page as her. “When you’re not part of an organisation like EWIF, you feel like you’re mad,” she admits. The other thing she had to adapt to was going from selling a service, which was getting people booked onto courses, to selling pieces of the business. But her biggest challenge was doing all this as a single mother. “It’s very important for me to be able to pop my mum hat on,” she says. Middleton has been keen to make the experience bespoke for individuals once they join the network. That means a combination of webinars and workbooks bringing them up to speed as well as on-site days, one-to-one training with veterinary professionals and unlimited forum access. “They then get assigned level one, level two and level three support where they can have weekly, monthly or bi-monthly calls,” she adds. “I always say: ‘if you don’t tell us what you need, we don’t know’. We haven’t got a crystal ball, so it’s very much two-way communication.” With up to four franchisees brought on at a time, which generally happens quarterly, to ensure they get all the help they need, Middleton expects to have 20 by April 2019.